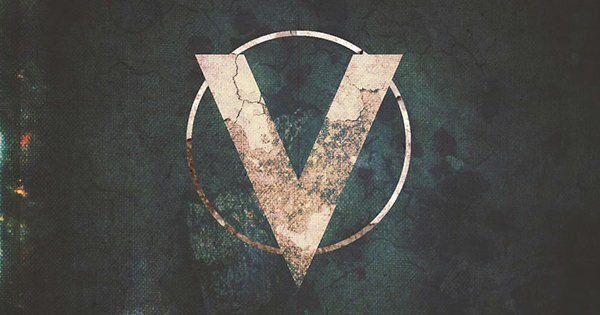 Good Fight Music has signed Vile Ones, featuring current Oh, Sleeper vocalist Micah Kinard and ex-Scarlet members Randy Vanderbilt and Andreas Magnusson. This is the first release for each since each of their previous bands came to an end. "The band is an outlet for all of us to write untethered to trends, concepts, or styles," says Kinard. "To just vent whatever we want unabashedly. We all thrive off of collaboration and Vile Ones has created a new and exciting blank-canvas in which to backboard whatever random inspirations may spark within us. We each respect each other's craft and contributions immensely making it really exciting to see which of these little sparks turn to fire in a release." The band has released a new song called "Bait & Collar" from a 6-song EP titled Teeth they plan on releasing on January 5, 2018, via Good Fight Music. "Bait & Collar" is also available on all streaming platforms starting today. Kinard continues, "The first few lines of Bait & Collar came to me while on a rather lengthy Frank Zappa tangent. The song, to me, is ultimately a reflection of the societal complacency of 'cog-in-machine' living and the consumerist approach to improving lifestyle and obedience. But as in all the lyrics I write, the "meaning" is whatever the listener personally sees through the lens of their own experience while alone with the song, words music and all." "The album name represents what this band is," Kinard concludes. "Something raw, genuine, ugly, and beautiful all at the same time and completely unapologetic. 'Teeth' is a neutral word with a very visceral feel. It's the focus when describing the violent jaws of a monster while also the anglicism of a smile. It embodies the notion that every human is naturally neutral, all of us skirting the line between angel and animal. We are by nature good, bad, ugly, beautiful, flawed and perfect all at once, and that's okay."